Video Game Shadow Box presents The Legend of Zelda (Nintendo) - "Take This (Custom)"
This shadow box features a customizable scene perfect for a wedding gift or anniversary. 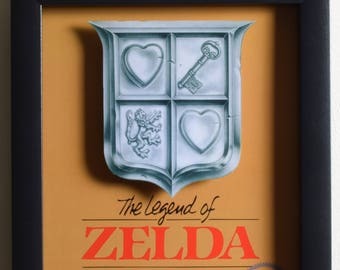 Instead of a sword, our friendly cave-dweller has offered a heart container to Link and Zelda. 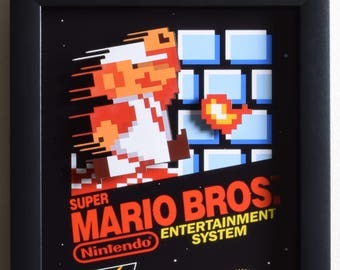 The black background of the cave really makes the sprites pop out of this shadow box! 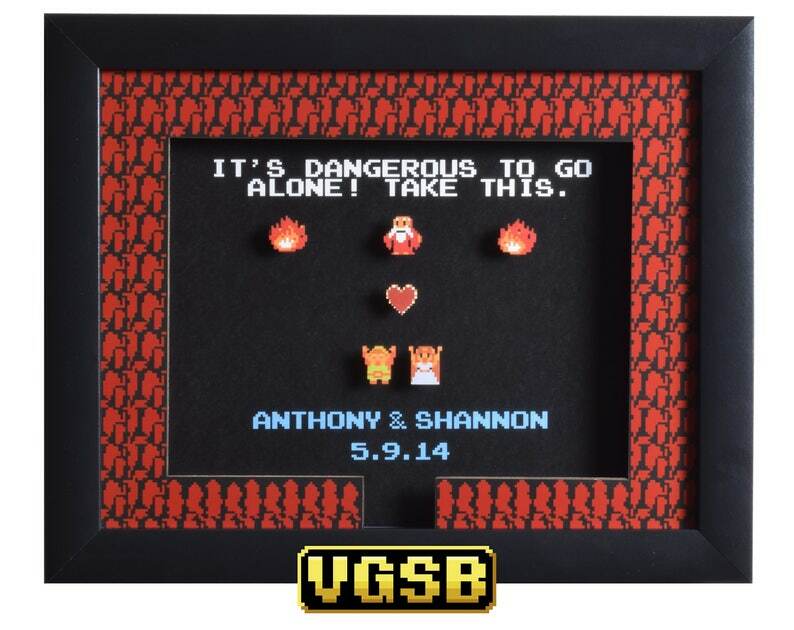 It's the perfect gift for gaming couples. Please leave me a note with the names and date for your custom order and triple check the date and format (I recommend MM.DD.YY, as slashes look too pixellated). Also, Link is on the left and Zelda is on the right, so I suggest having the names match their gender. I purchased this gift for our one year (paper) anniversary! My husband absolutely loved it and it's a conversation piece in our home. Service was super quick and shop was very helpful in answering all my question. I would recommend this product a million times! Super cute and a must have for any gamer out there! I couldn't be happier with this gorgeous shadow box. It's obvious that a ton of care goes into the making of each piece, and I'm honestly even more impressed with this item in real life than I was by the photos online. The shop owner is also an excellent communicator, extremely friendly, and works quickly to put things together and ship the item out. My best friend and her fiance are going to adore this as their wedding gift. Extremely quick shipping, great customer service before the shadow box was sent and after it arrived, it is beautiful and in great condition. As nerds, absolutely love it! A truly wonderful experience overall!! We love our customized shadow box! It fits right in with our theme and we received it super quick. Definitely recommend!